Happy Halloween! What are your plans for tonight? 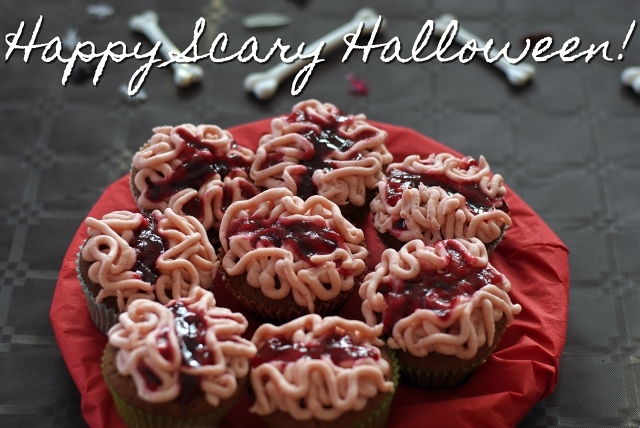 My sister organised a pretty cool Halloween party with great decoration and scary food like these brain cupcakes so we'll spend a cosy night in. If you want some last minute food ideas you can also check my Halloween post from last year. Carmen! I'd love your thoughts on my recent post on the objectification of women in ads! Happy Halloween! Looks so delicioouuus!! !